Over at CCW there is the new card challenge by Oona, the theme is anything goes and I have created the following new baby card for my DT project. 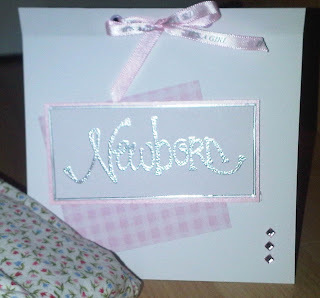 I have used a stamp which has been in my stash for years and I have never actually used it....so I embossed the newborn stamp with silver embossing powder and used pink checked paper to mount the stamp on. 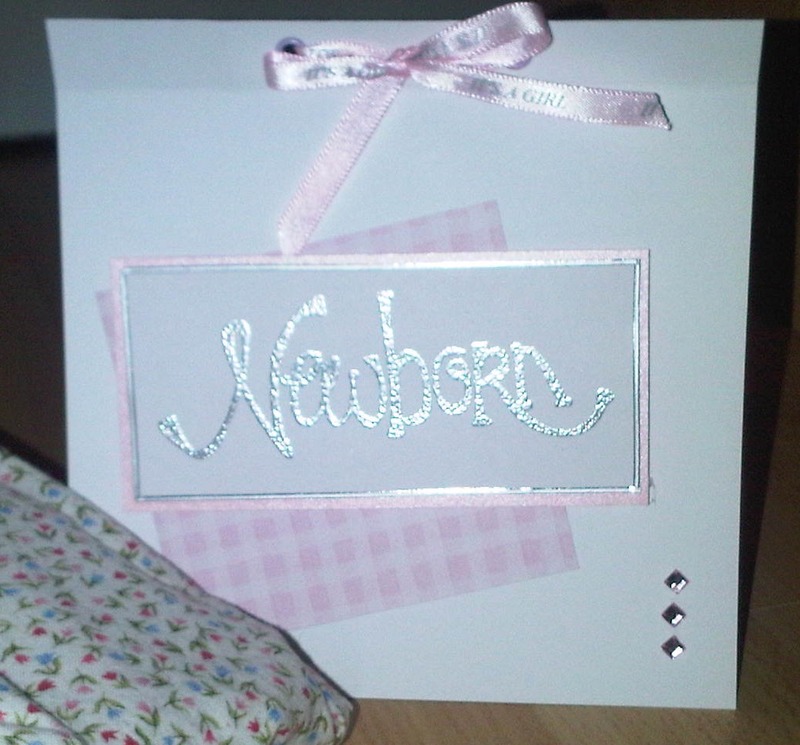 The card is finished with small pink gems and 'it's a girl' ribbon across the top. 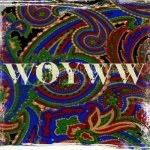 All are available from CCW.